AI WorkLab: the live streaming of the launch event! AI WorkLab event launch kicks off! 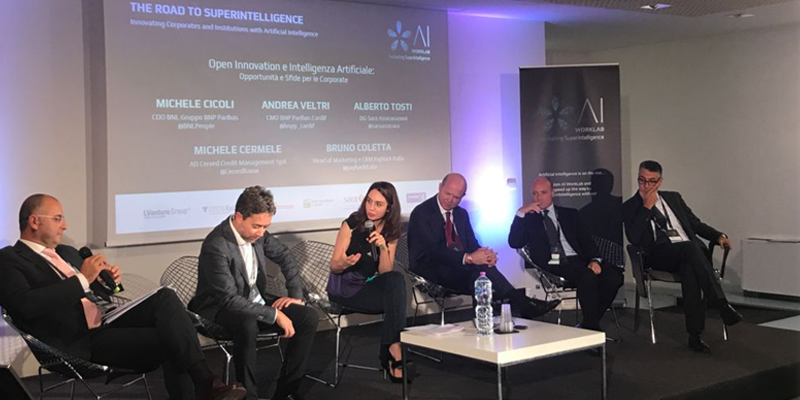 Wanna know more about the incubation program dedicated to the Artificial Intelligence (AI) run by LUISS ENLABS and organized by LVenture Group in partnership withBNL Gruppo BNP Paribas, BNP Paribas Cardif, Sara Assicurazioni, Cerved Group and Payback? Follow the live streaming here!